Radiosurgical procedures for a wide range of intracranial conditions/diseases including arteriovenous malformations, meningiomas, pituitary adenomas, trigeminal neuralgia, obsessive-compulsive disorder, epilepsy, ocular disorders, pediatric brain tumors, and gliomas. Important updates on skull base tumors, functional disorders, and brain metastases. Evidence-based findings covering indications, patient selection, benefits, limitations, outcomes, potential complications, and alternative treatment modalities. This updated reference tool is an invaluable, comprehensive guide to current concepts in SRS. 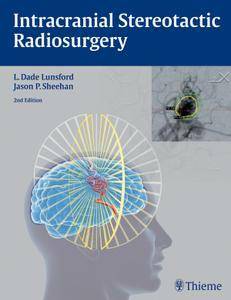 It is a must-have resource for neurosurgeons, radiation oncologists, neuroradiologists, and medical physicists, from residents to advanced clinicians.